This anti-burst gym ball has a 55cm diameter and will be ideally suited to users under 168cm (5’6”) tall. Use it to perform an almost endless amount of exercises to tone up your core muscles and work both your upper and lower body muscles. Do resistance and balance drills, exercises for your back, sit-ups, stretches and a whole host of other workout activities on this very practical and versatile fitness accessory. You can also pick up some weights and work out with them on it as well. Do all of this in great confidence thanks to the gym ball’s tough, anti-burst design which will support up to 200kg (31 stone) and has been tested to very high specifications. 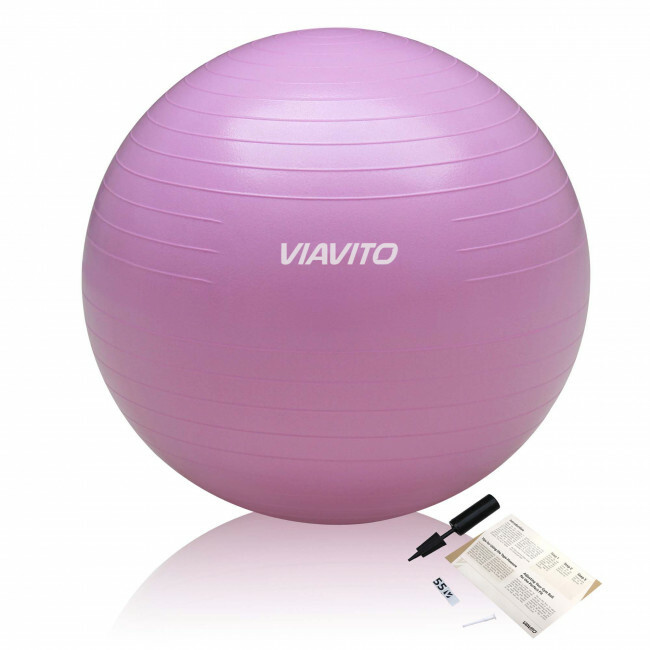 The ribbed design helps deliver great grip on a range of surfaces and this stylish pink exercise ball comes with a pump and all the instructions you need to get it set up correctly.